Find out how to make business resolutions for the next year that stick! 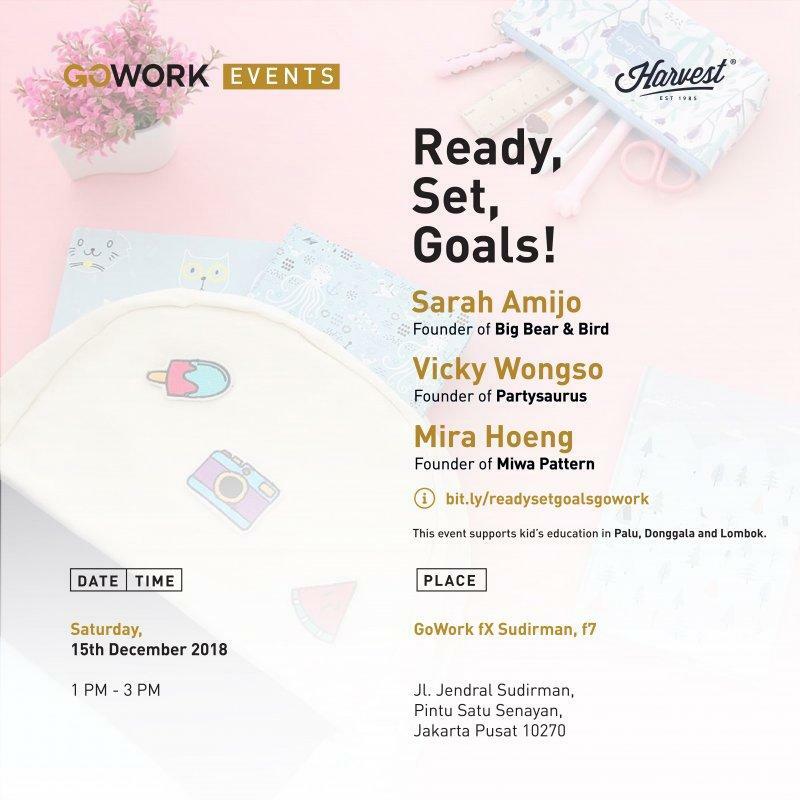 Talk with renowned experts from the creative industry about how did they find their starting line, and how to overcome obstacles in the way on Ready, Set, Goals!, a Harvest, in Partnership with GoWork. By joining the class, you'll not only learn new lessons much needed, but also help the victims of Palu, Donggala, and Lombok earthquakes.